The Randpark Golf Club will be re-launching its driving range with a variety of specialised, value-added golf services on 23 June. Members will soon be able to improve their game through professional fitments, top of the range equipment, video analysis, repairs and coaching. 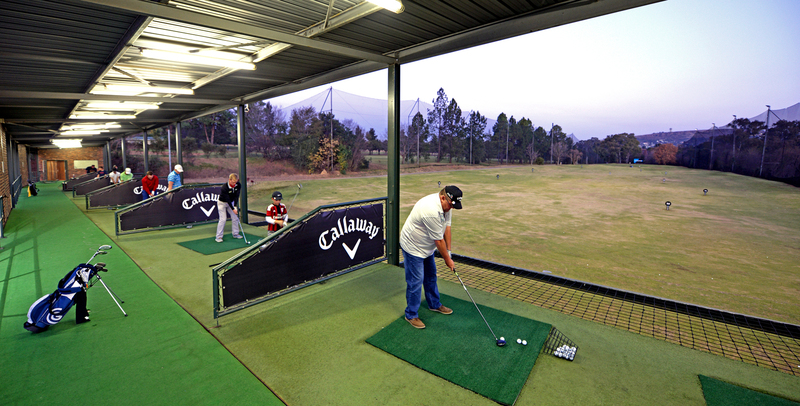 The double-decker driving range had a makeover and a partnership with Callaway will offer members a new state-of-the-art fitting studio, retail shop and repair centre. New range manager, Phil Simmons, former golf director at Mount Edgecombe and three times PGA winner and SuperSport presenter, Dale Hayes, will officially open the driving range. “The driving range facility will offer our members and visitors the ultimate practice experience with value-added golf services that will enhance your game in all aspects. This new facility was a crucial part of growing the Randpark brand and we are very excited about launching it,” says general manager, Francois Swart. Golf director, Mellett Hendrikse, says the revamp was done to align the driving range with the rest of the club’s look and feel, which includes new golf balls and hitting mats. As part of the revamp a fairway was cut into the range to make it more realistic and give it more definition. Tea and coffee will be available and there is a designated smoking section. A new choice of driving range membership has been added to accommodate golfers who are new to the game, which includes one complimentary personalised coaching session by a golf professional, ten buckets of practice balls per month, a social membership for discounts on food and drinks and members’ rates for 9 holes on one of the two golf courses, Firethorn and Bushwillow. The fitment centre is a great addition to Randpark, where an expert can advise golfers on how to customise their clubs or choose a new one. Customising can be done at the fitment centre and clubs are available at the retail golf shop, while repairs can be done at the repair centre. Randpark’s metamorphosis began in 2011 with a R26-million investment in the upgrade of its two golf courses, which were modernised and rebranded in 2013 as Bushwillow and Firethorn. The golf shop was completely renovated and officially re-opened in March.